Tribes has been arranging tailor made holidays in Asia since 1998. Our expert consultants have travelled to the countries we sell, and can advise you why, when and where to go. 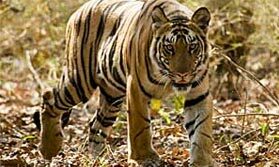 From tiger spotting in India, to a cruise through Burma, and hiking in Nepal or Bhutan, there are some very special experience waiting for you. Our Asian travel team includes Paul Cook and Guy Marks, both of whom would be pleased to help you plan your holiday if you call them on 01473 890449. The Land of the Thunder Dragon! This tiny Buddhist country offers stunning mountain scenery, great walks and amazing architecture. A once-secretive and still a very traditional country, Burma’s temples, pagodas and beaches are now open to visitors. The Himalayan kingdom of Nepal offers incredible treks, stunning wildlife, fascinating culture and magnificent scenery. Read about some of the great experiences you could have in Asia. 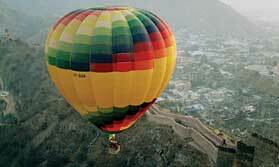 Float gently over forts and palaces, scattered mountain ranges, traditional villages and colourful fields in some of India’s most spectacular locations. 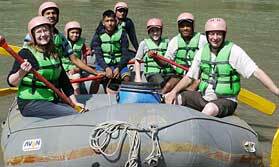 From half-day beginners' rafting to full-on multi-day experiences. Let one of our specialists help you plan your ideal tailor-made holiday to Asia.